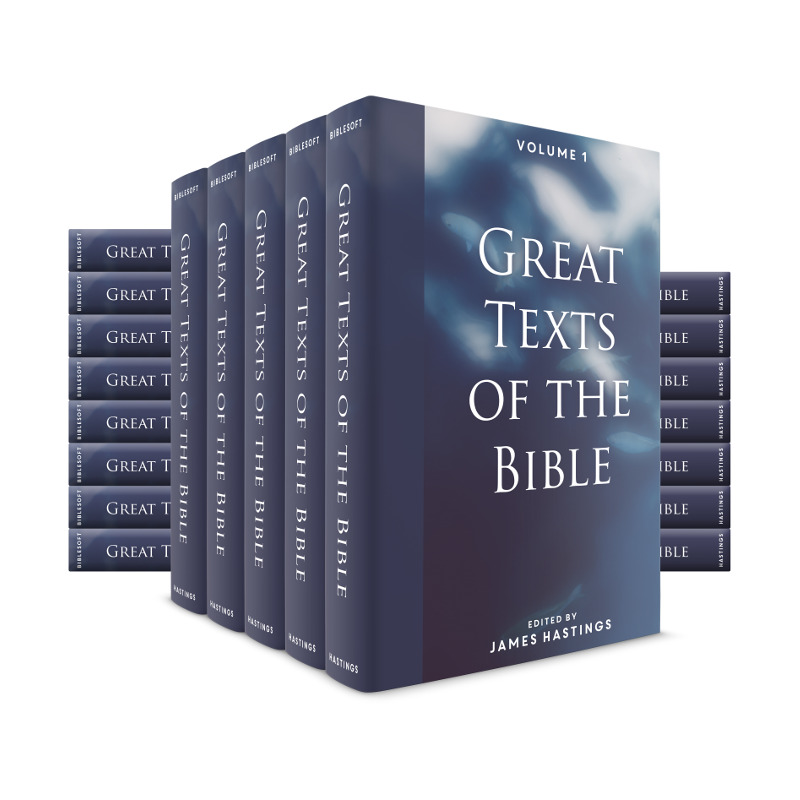 The Great Texts of the Bible is a 20-volume commentary set is filled with analogies, history, sermons, anecdotes, interpretations, and perspectives. Learn more below. 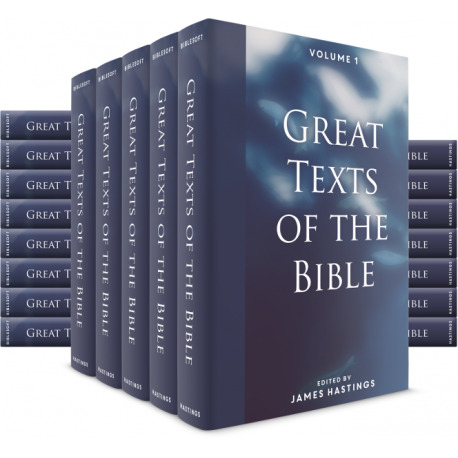 The Great Texts of the Bible is a 20-volume commentary set is filled with analogies, history, sermons, anecdotes, interpretations, and perspectives. Hastings presents word meanings, expositions, poetry and quotations from many authors and thinkers, as well as a list of references and literature used for each text. This work is organized not just by topic but by subtopic and various levels of outlining and focuses on epic Bible texts. Hastings practical writings are an easy-read that doesn't sacrifice depth or study. This is a perfect resource the next time you're stuck on a passage and want a breadth of knowledge to kickstart your study.